The Clouded Leopard is an unusual cat that has distinctive large cloud-shaped markings and a strong, elongated tail that is often almost the same length as its body. It ranges from the Himalayan foothills, through Southeast Asia and China, and on the island nations of Sumatra and Borneo. With flexible ankle joints that can rotate backwards, it is the best climber among the big cats, able to climb down vertical tree trunks head-first, climb upside-down and to dangle from slender tree branches with its hind paws and muscular tail bent around the branch. There are three clouded leopard species — the clouded leopard of mainland Asia, the Sunda clouded leopard of Sumatra and Borneo, and the Formosan clouded leopard, native to Taiwan, which was believed to be extinct since the early ‘80s, until a hiker came across one dead in a trap on Dawu Mountain in 2011. 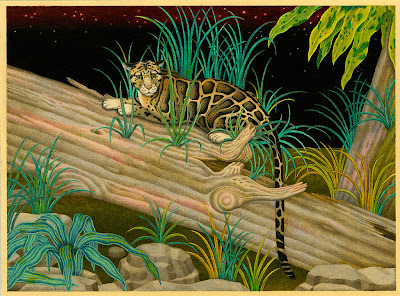 Because the clouded leopard prefers remote primary tropical rain forest, it is threatened by large-scale deforestation for logging and agriculture throughout its range. It is also vulnerable to subsistence hunting, as well as poaching for the illegal pet trade, for its beautiful spotted coat and for its bones, claws and teeth, which are used as a substitute for tiger in traditional Asian medicines. 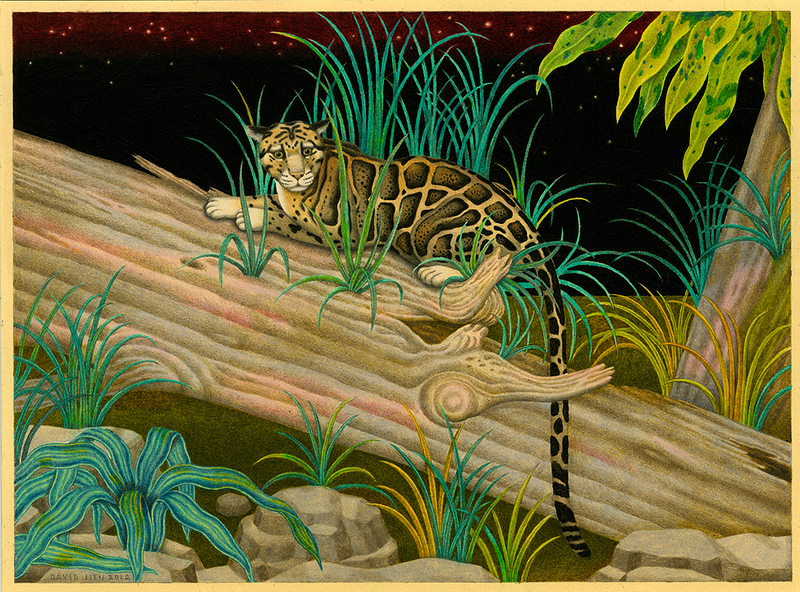 Its elusive nature and remote habitat make it impossible to know how many clouded leopards remain in the wild.